The River Club is set on the banks of the swift-flowing Zambezi River. Its main area has a comfortable lounge, large dining room, impressive library and wide veranda on which breakfasts and teas are taken. Lush gardens are spread out beneath the trees where midday meals are often served. The pool seems part of the river itself, while a secluded deck with hammocks and loungers provides respite. Ten luxury chalets are spread out amongst the riverine vegetation, comprising luxurious bedrooms and en suite bathrooms, most being split-level. 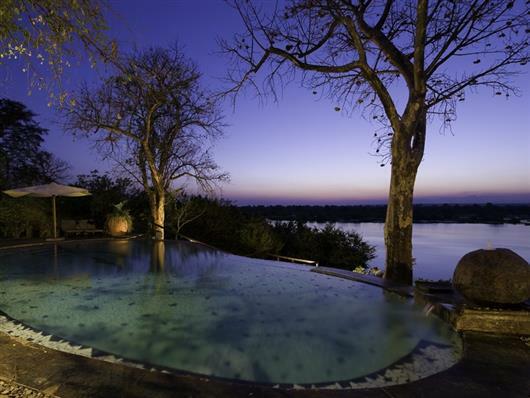 Their originality stems from the fact that one side is completely open to the river, so that there is an uninterrupted view of the Zambezi and its far bank from both bed and bathtub. 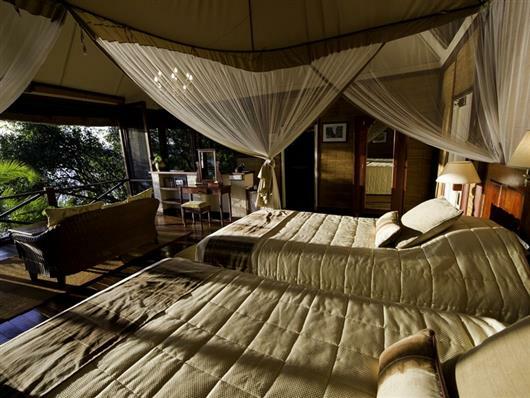 Each room looks west into glorious African sunsets and all have a concertina screen door or window across the front of the bedroom and/or bathroom. 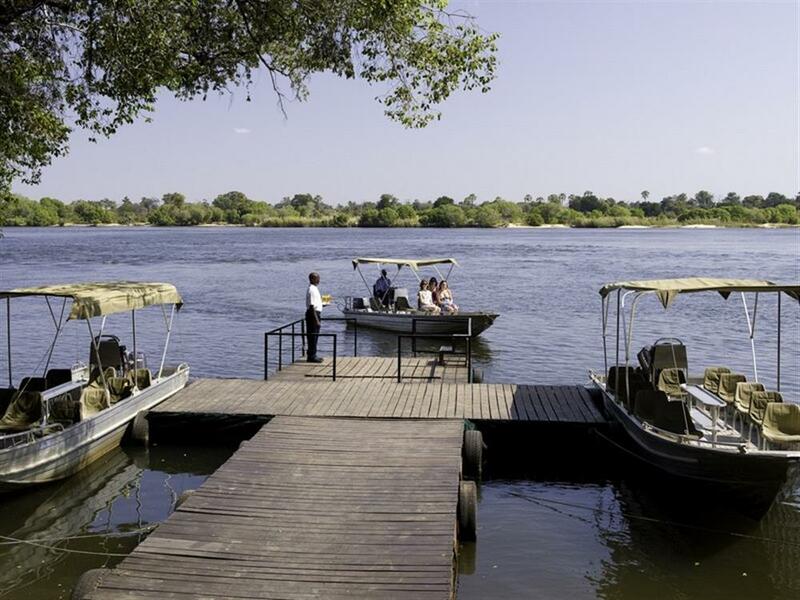 Activities include sundowner cruises, visits to the Victoria Falls, a local village, local markets and Livingstone town. 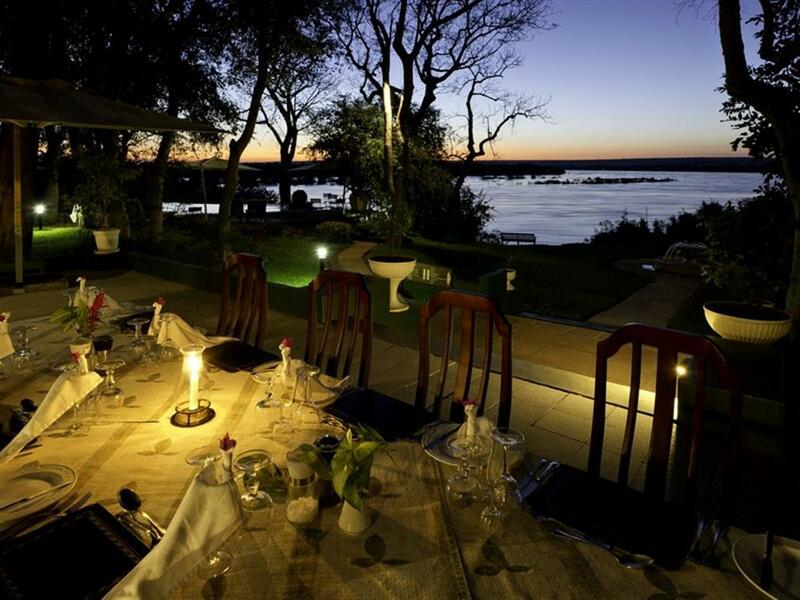 Livingstone is rich in history and certainly worth exploring. Also on offer is a variety of adrenaline-loaded activities at extra cost: white water rafting, bungee jumping, abseiling, and helicopter flights over the Falls. 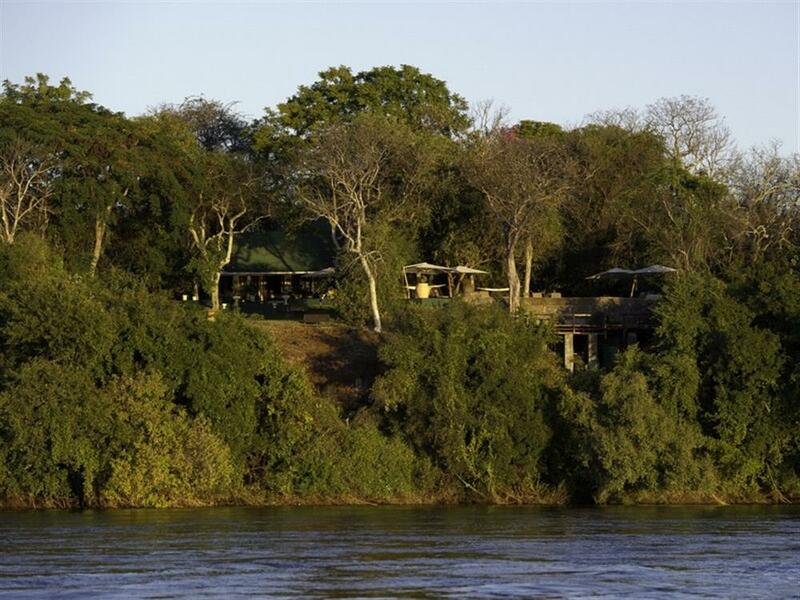 Although The River Club is not a traditional safari camp, elephants can often be seen in the Zambezi National Park opposite, and hippo are regularly seen and heard in the river itself. 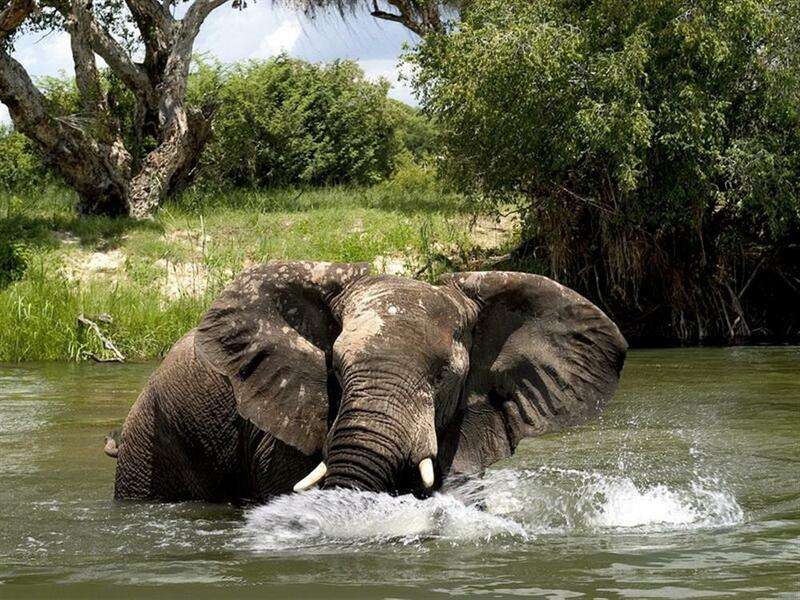 Game drives are also offered into the nearby Mosi-oa-Tunya National Park where there is an abundance of general game species like buffalo, giraffe, zebra, wildebeest and impala.